Totally uncheorographed shot, I promise. 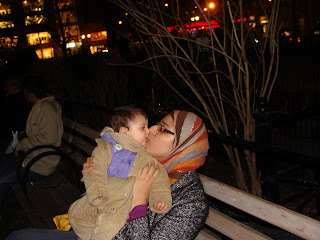 It just so happened that right before Harun would click, I saw Iza looking at me intently, and as any mom would, I pecked her right as the camera flashed. It ended up being the best picture of the night.